Harbour & Pine Got A Makeover! One of my goals for the new year was to really focus in on my Etsy shop and make it more cohesive with my blog and the aesthetic that I love. PS: Adventures at Home will be getting it's own makeover very soon! 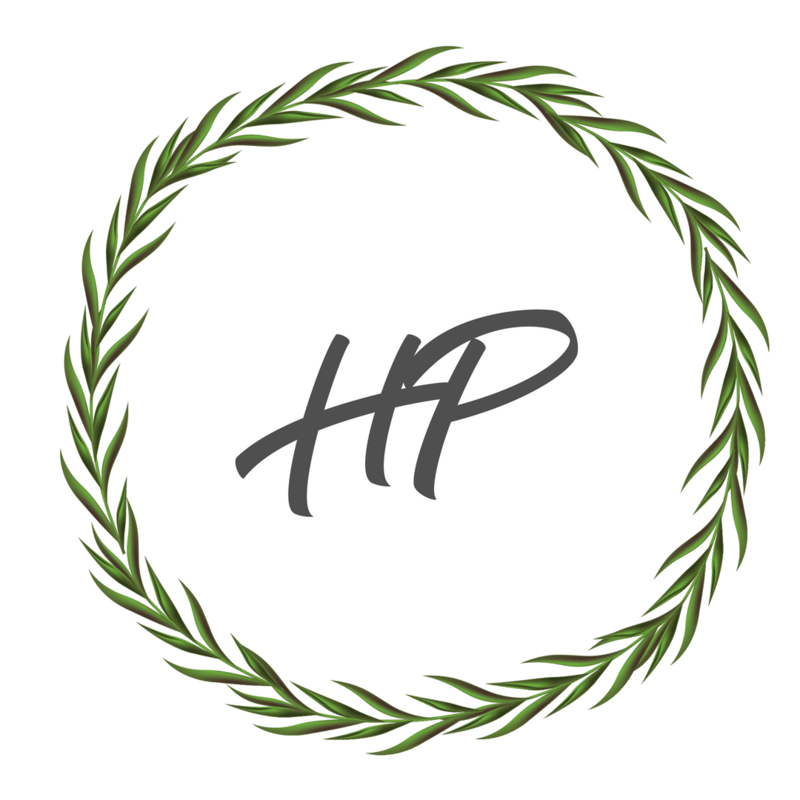 Recently I took the leap and re-did my shop's logo and header, and began creating new products and I'm so excited to share them with you! The wreath around my logo reminded me of both pine needles and seaweed, so I thought it was perfect for "Harbour & Pine". I have no idea where this journey is going to take me, but I'm looking forward to finding out! Camp mugs! 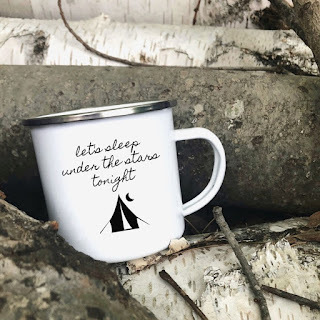 As a lifelong camper, I've always been obsessed with these cute enamel camp mugs. I remember my parents having the entire set of blue enamel dishware with the white speckles- you guys know the ones I'm talking about. I have several new designs coming out for Fall & Winter! 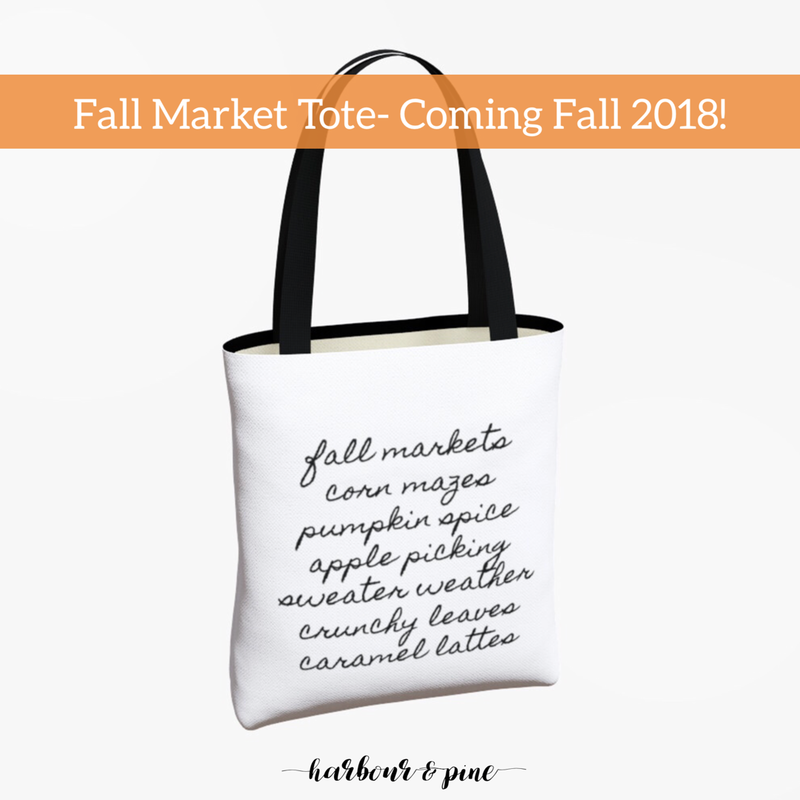 Market Totes- Coming Fall 2018! 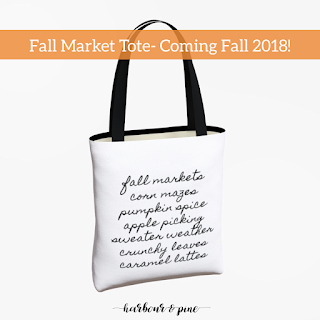 I've been looking for a trendy tote that will look just as great in my Instagram photos as it does in person. I couldn't find exactly what I've been looking for, so I created it! There will be more colors available, and more designs coming soon! Currently my products are only available through my Etsy shop, but if I have enough interest I plan to start bringing products in for local pick-up, events, etc. Check out Harbour & Pine HERE! DIY Self Care Products Featuring Simply Earth!